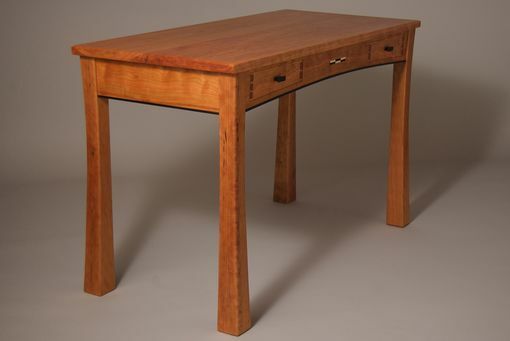 This writing / computer desk features reverse-tapered 'bell-bottom legs, two dovetailed drawers, and an arched front apron. Made of cherry, ebony, holly, and ebonized maple. The upward arch of the front apron allows for plenty of room for knees when sliding in a chair. The asymmetrical drawers -- deeper at the outside, shallower towards the middle -- take their cue from the curve along bottom of the apron. 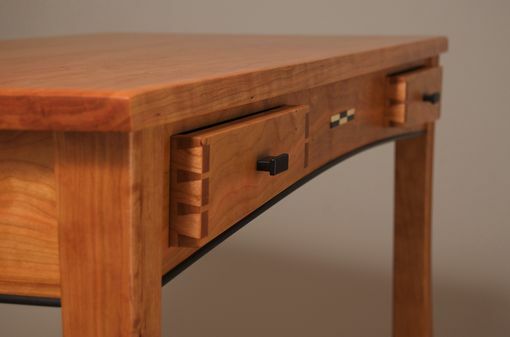 The aprons and drawer fronts are tapered to match the curve at the top of the legs. 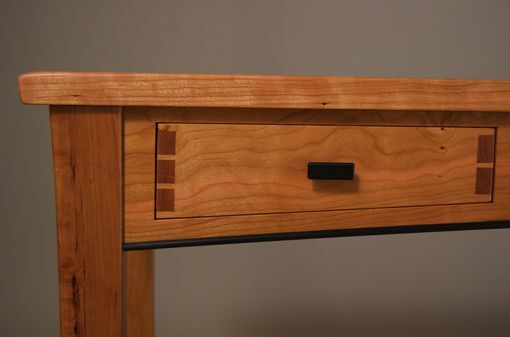 The exposed joinery of the hand-cut dovetailed drawers adds visual contrast. Dimensions: 48 in. wide x 24 in. deep x 30 in. high.